Forza Nuova U.S.A. – Page 6 – TUTTO PER LA PATRIA! 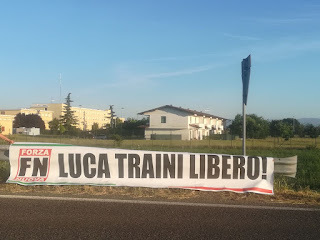 Forza Nuova Banner: Free Luca Traini! The PIAAC – Programme for the International Assessment of Adult Competencies, also called the PISA for adults, is an international survey assessing the cognitive abilities and skills of the adult populations of western countries (and several other countries too). It includes a reading comprehension assessment, a math ability assessment, and an assessment for problem solving in computer environments. The Tide is Turning. Another Boat Full of Invaders is Not Allowed to Disembark in Italy.